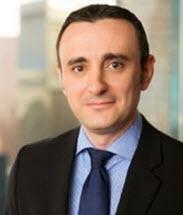 George Busu specializes in intellectual property and complex commercial litigation. In the litigation arena, Mr. Busu has extensive experience in intellectual property disputes, complex business disputes, recognition of foreign country money judgments, and state court appeals. Mr. Busu’s intellectual property counseling covers the spectrum of copyright and trademark matters with due consideration for the appropriate balance between practical business and legal concerns. He practices in a broad range of industries such as cosmetics, real estate development, garment industry, restaurant, professional services, banking and entertainment. He has in-depth experience in trademark risk analysis, registration, portfolio management and brand development. Mr. Busu is a graduate of Yale Law School where he also served as Senior Editor of the Yale Journal of International Law. Mr. Busu is based in Los Angeles. Represented Korean broadcasters in obtaining temporary restraining order and permanent injunction against defendants intercepting and rebroadcasting Korean television network programming to subscribers of defendants’ internet service. Represented manufacturer in successfully opposing the U.S. Patent and Trademark Office’s refusal to register trademark based on alleged confusing similarity to previously registered trademark. Represented garment manufacturer in successfully negotiating rescission of opposition by a prominent U.S. denim manufacturer to a trademark registration in the Republic of India without payment from the client. Represented real estate developer in successfully opposing the U.S. Patent and Trademark Office’s refusal to register trademark for large commercial real estate development project based on alleged confusing similarity to previously registered trademark. Defended and successfully negotiated dismissal with prejudice of Trademark Trial and Appeal Board proceeding for trademark cancellation. The “co-existence” settlement agreement included payment of our client’s attorney’s fees. Obtained large judgment in case under the Uniform Foreign Country Money Judgments Recognition Act after taking case up on appeal three times, resulting in two published opinions addressing several issues of first impression on a national level. Obtained rare default fraud judgment in complex bank fraud case and an order of non-dischargeability of the fraud judgment debt.